very nice gift that I really like. 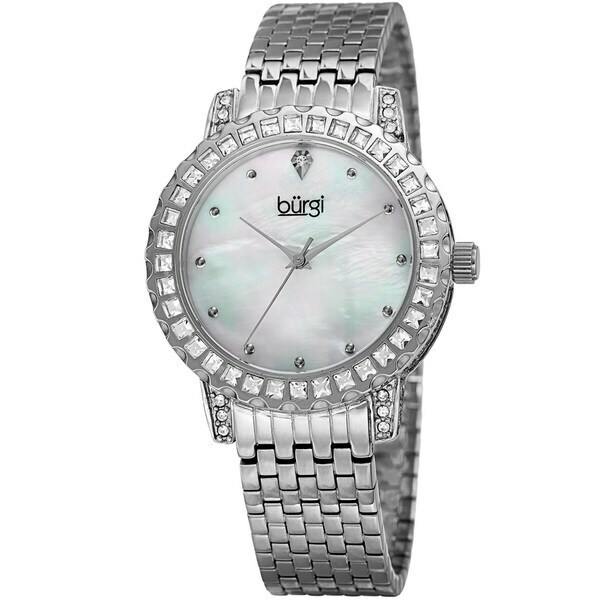 Brilliantly designed, this Burgi timepiece features crystals on the case sides and a gear-shaped bezel with baguette crystals. The dial is set with crystal and circle markers. A seamless "brick road" bracelet completes the glamorous design of this watch.